We've earned our 99% customer satisfaction rating by providing expert advice, award-winning service, quality education and the best piano selection and values to over a quarter million satisfied customers and institutions. Browse our comprehensive offering of the finest name brand pianos, player pianos and digital pianos, as well as our used and rental instruments. Choose from a flexible selection of education plans for all ages and skill levels. Explore our site to learn more about our company. And remember, we're always ready to answer any questions you have about pianos and digital pianos. It's the biggest grand piano sale event of the year, with special offers and financing on Atlanta's best selection of new and used grand pianos. With our PianoFinder, a few simple answers about your needs and preferences will pair you with an expertly chosen sample of great piano matches. Finding the perfect piano at the right price can seem like a daunting task. But this guide endorsed by technicians & educators makes it easy & fun. Roland Digital Grands are the hottest new products in Roland's premium piano lineup. The GP607 and new flagship GP609 are made for the person seeking a high quality digital piano with the looks of a baby grand to fit in any size room. The GP609 is in a larger cabinet with a higher fidelity speaker system for incredible sound customization possibilities. Both include a 10 year parts and labor digital piano warranty and Roland's proprietary SuperNATURAL sound modeling technology. Introducing Steinway SPIRIO - the world's first high resolution player piano that enables you to enjoy performances captured by the world's great pianists such as Lang Lang and Yuja Wang - played with such nuance, power and passion that they are indistinguishable from their original live performances. This Boston GP215 Ebony Polish 7'1" grand piano (#B171687) has an incredibly big, robust sound and about the most responsive, Steinway-designed action you can imagine. Originally built in 2011, it is still in virtually brand new condition and could be perfect for any number of uses - a large home, a music school, a church or a small perfomance venue. It is classified as a SLU ("slightly used") piano, typically Steinway's under 10 years in age. This instrument is also a favorite of our staff of pianists and technicians. It has an absolutely gorgeous, big, full sound and a very playable and responsive action. Since it shares so much of Steinway's DNA, it has many of the tonal porperties of Steinway's famous 7' model B grand. 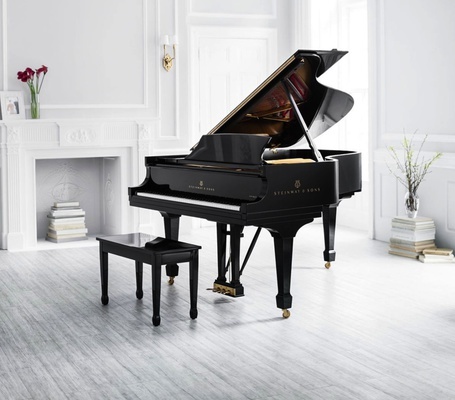 Designed by Steinway & Sons, the Boston Performance Edition pianos, like this one, encompass over 30 specific design patents and features by the storied New York piano manufacturer. Manufactured in Japan to Steinway's extremely high quality standards and materials specifications, this particular piano represents the absolute best value currently in a performance instrument for the discriminating individual or institution. This Steinway-designed Essex "GSU" EUP123E 48" Professional Upright piano is only two years old and in almost new condition both inside and out. The instrument was part of Georgia State University's School of Music loan program for the last two years - a partnership between Steinway and GSU that provides them with new Steinway-designed pianos each year on a rotating basis. This piano is a full professional upright piano at 48" in height. It is encased in a very elegant and durable ebony polish cabinet. 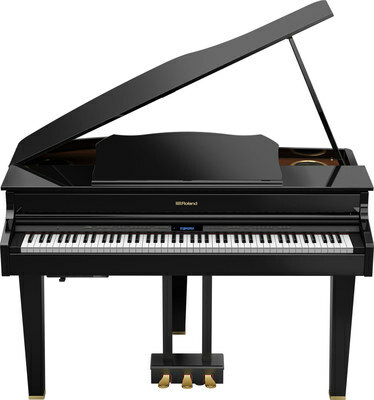 With over 30 Steinway patents and design features, it has much of the Steinway DNA at a significantly lower price point. The piano includes a 15 year full trade up certificate to a new Steinway upright or grand piano. The piano will be fully tuned and prepped prior to delivery by our Steinway-trained staff technician. The bench and warranty are included, along with a second free tuning in the home within 60 days. 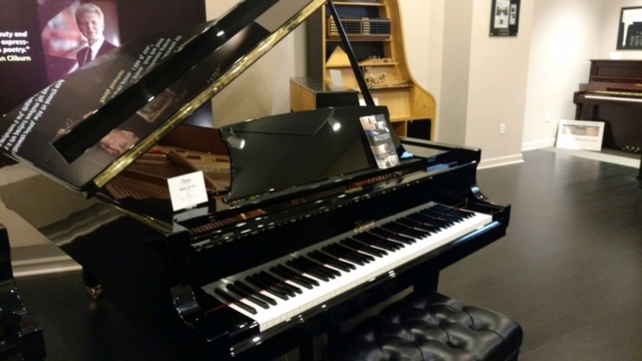 Steinway Piano Galleries has enjoyed a close relationship and partnership with GSU for nearly 2 decades, during which they have purchased Steinway and Steinway-designed pianos. They are currently in the process of becoming an All-Steinway School, with the purchase of several Steinway-designed pianos each year to replace the loan pianos.